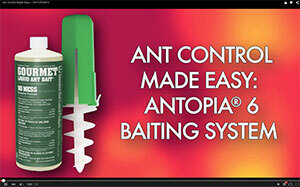 Innovative Pest Control Products offers a training video on YouTube (also accessible through its product page on AntCafe.com) on the use of the ANTOPIA 6 Bait Station for tramp ant species. The weather-tolerant, locking, bait-dispensing system offers several patented features. The translucent station features a green ABS cover and a view port that allows users to more easily assess the current volume of the bait in the station. It also employs Feeding Float Technology to make it easier for ants to access the bait and return safely to their nests, where they share the bait with the colony, the company says.